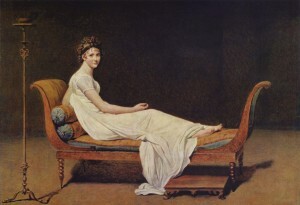 The ‘Molitor’ first surfaces in Paris around the turn of the 19th century in the hands of Madame Juliette Récamier (1777–1849), a prominent socialite and patroness of the arts in post-revolutionary France. Married at the age of 15 to a wealthy banker 30 years her senior, Récamier held a fashionable salon that was frequented by leading artists, musicians and the political elite of French Empire society. In addition to the ‘Molitor’, Récamier also owned another Stradivarius from the year 1727. It’s not known for certain how she came into possession of these two violins, but Herbert Goodkind’s Violin Iconography of Antonio Stradivarius and other references name their first owner as none other than Napoleon Bonaparte. 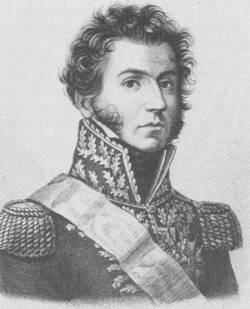 In 1804 Madame Récamier’s two violins passed to a young General in Napoleon’s army, the Count Gabriel-Jean-Joseph Molitor (1770–1849). ‘Molitor’ was evidently a musician of some stature as well as a distinguished soldier under both Napoleon and the Bourbons. After Molitor died in 1849 the violins remained in the possession of the Molitor family for nearly 70 years. At the height of World War I in 1917 the two violins changed hands and parted company, and the ‘Molitor’ made its way to Monsieur J. Mazeran through the firm of Caressa & Français. In the summer of 1929 the ‘Molitor’ was acquired by the Curtis Institute in Philadelphia from the Parisian dealer Charles Enel. At the time, the violin had certificates from Enel and also from Silvestre & Maucotel, both of which have since been lost. Upon receipt by Curtis, the violin was branded ‘CURTIS PHILA’ to the lower rib and entered Curtis’s formidable fleet of loaned instruments. During its time at Curtis the ‘Molitor’ was loaned to several promising students including Henri Temianka, Jascha Brodsky, Ethel Stark and others. In 1936 the ‘Molitor’ was sold to the firm of W.E. Hill & Sons. In 1937 the Hills sold the violin to a Mr R.A. Bower of Somerset, England and in 1957 E.R. Voigt sold the violin to a Miss Muriel Anderson of Londonderry in Northern Ireland. Elmar Oliveira acquired the ‘Molitor’ at Christies in 1989 and played it until he acquired the c. 1729 ‘Stretton’ Guarneri ‘del Gesù’ around the time of the Guarneri exhibit in 1994. Oliveira, the first American violinist to win the gold medal at the Tchaikovsky Competition, has enjoyed a distinguished career as a soloist and a champion of new music. 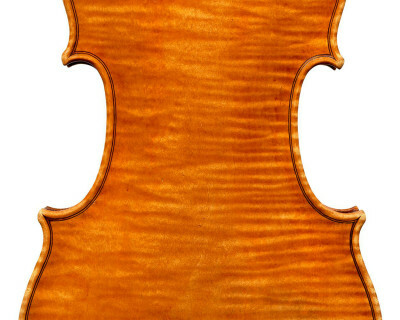 The violin was sold by Tarisio to Anne Akiko Meyers in 2011.